Chairman of the Senate Committee on Armed Services John McCain has been diagnosed with brain cancer and is reviewing treatment options, his office said. According to the veteran Republican’s doctors, the options may include chemotherapy and radiation. John McCain, 80, is in “good spirits” recovering at home. The brain tumor was discovered during a surgery to remove a blood clot from above his left eye last week. A Vietnam veteran, John McCain spent more than five years as a prisoner of war. 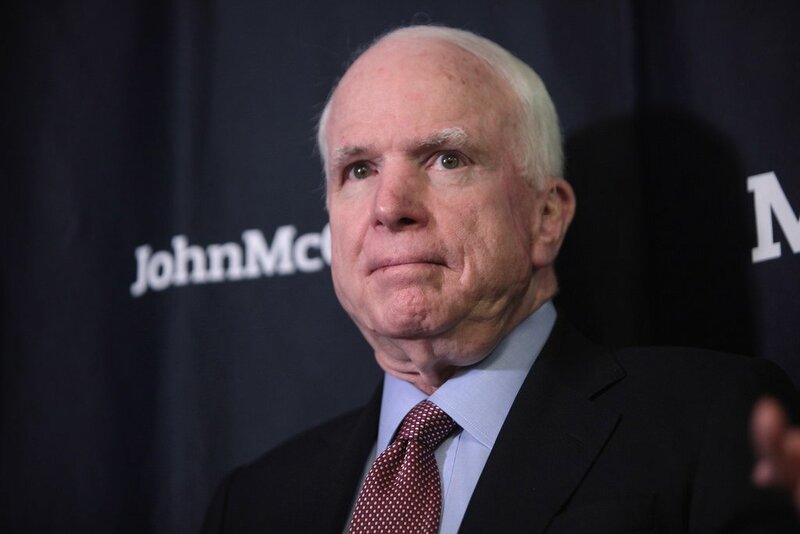 On July 14, the six-term senator and 2008 Republican presidential candidate underwent surgery at a clinic in Phoenix, Arizona. Tissue analysis revealed that a primary brain tumor known as glioblastoma was associated with the clot, a statement from the Mayo Clinic said. “The senator’s doctors say he is recovering from his surgery <amazingly well> and his underlying health is excellent,” the statement added. Glioblastoma is a particularly aggressive brain tumor, and increases in frequency with age, affecting more men than women. John McCain was in “good spirits as he continues to recover at home with his family”, his office said. The senator’s family reacted with “shock” to the news, his 32-year-old daughter Meghan said. She tweeted: “It won’t surprise you to learn that in all of this, the one of us who is most confident and calm is my father. Meanwhile, Senate Majority Leader Mitch McConnell said John McCain was a “hero to our country”.